I LIGHTLY inked the edges of the papers with Black ink. I used a black pen to trace around each shape just to add dimension. #1 and #2 used one chipboard shape. I used a heavy duty paper trimmer to cut the shape in half. You could easily trace where you want to cut it on the back and use scissors. #3 and #7 used a little black string as the “hook” on the ornament. #4 and #12 used a cute rhinestone star for the tree. 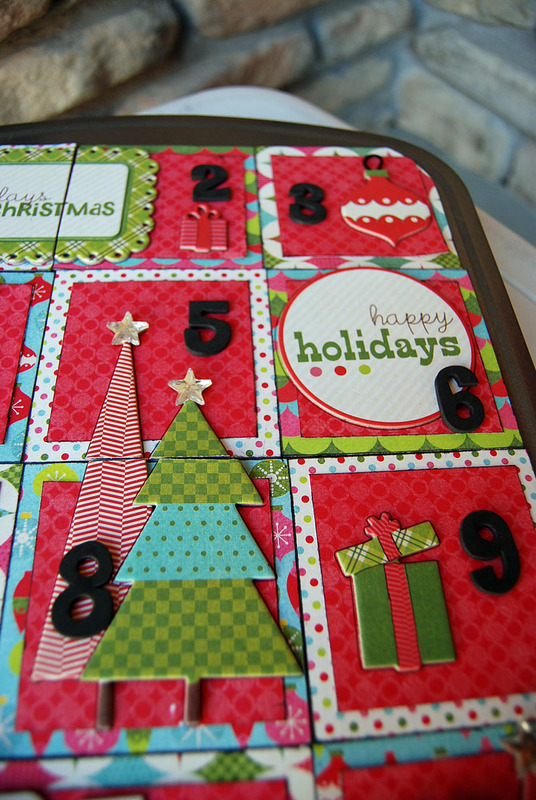 #5 and #8 also has a split chipboard shape (same as #1 and #2) and I also put a rhinestone star on each tree. You will want to round the edges of #1, #3, #10 and #12 if your muffin tin is rounded like mine. I did one corner and then used it as a stencil for each of the other corners. This helped to make it symmetrical. I had to use some letters to recreate some of the 1’s on the calendar. It was easy, I just cut them! 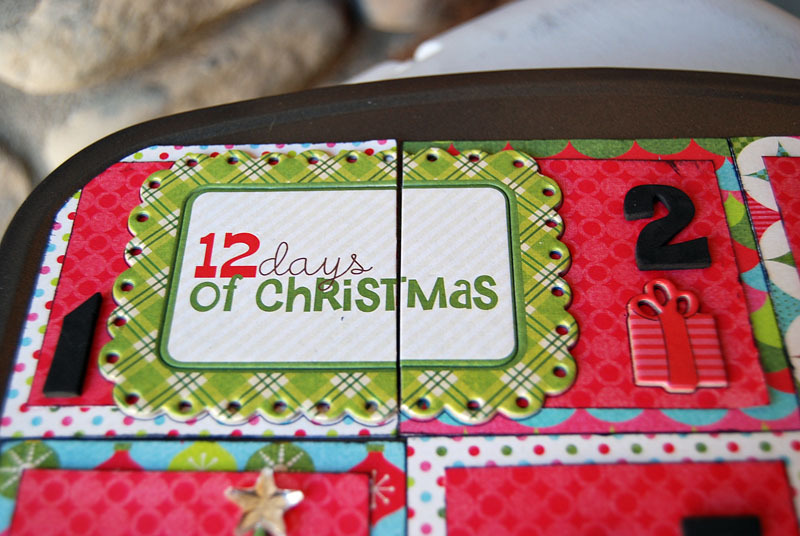 Attach magnets to the back of every edge of the squares so it will stick to the muffin tin. If you want to reuse the muffin tin, you can attach the “Merry & Bright” label with a magnet. If you want it permanent, you can use a hot glue gun to attach it. **If you love this project, LIKE our Facebook Page and leave a comment... we will draw a winner using random.org on Friday at midnight. The winner will receive this already made! 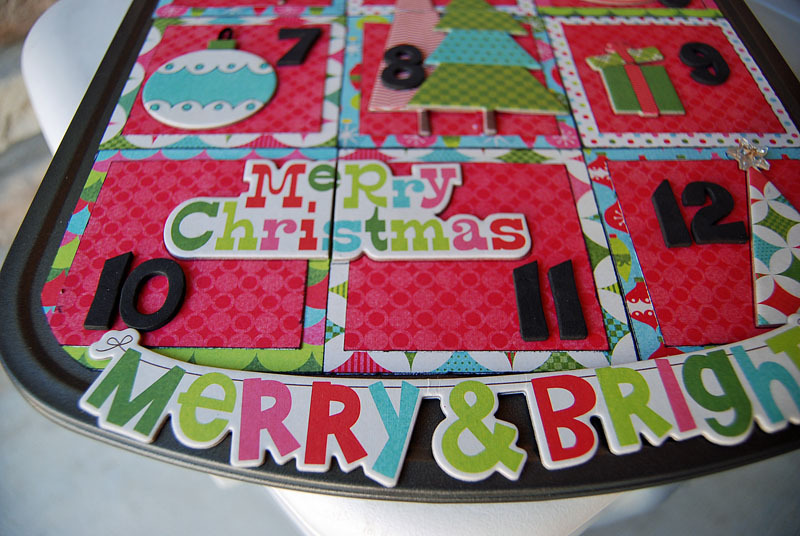 1) Fold up some of your favorite Christmas Stories and put it in each square to read with your family each night. I have another blog and HERE IS A POST with some Christmas Story printouts. 2) Put some of your favorite Christmas Songs and Book titles in each square. Before bed, you could sing a song or read a favorite Christmas Book as a family. 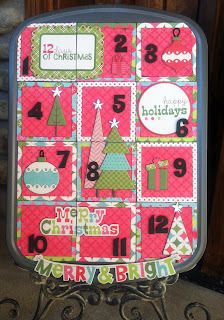 5) Chose favorite Christmas activities you could do each night to put in each square. 6) Put small ornaments in each square that you could hang on the tree each night. Love these!! You are so talented! Wow, Shyloh you out did yourself this time. Love this one. You were great on the show too. I checked out your other blog that had the 12 stories on it and I love it! But there are only 10. Do you still have the other two? And if you do, could I get a copy? So cute! I would LOVE to win! I commented on the photo on your facebook page! I love all of your ideas!!! Love this idea! I want to make one for my Mom. Seriously so cute! I love it and my kids would, too. 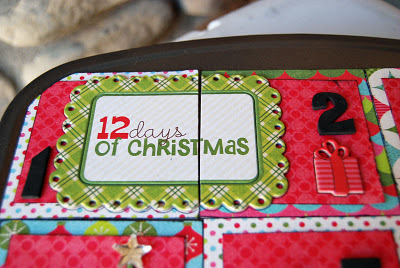 Love this type of advent calendar! Shyloh!!! Thank you so much for making this and then offering to give it away! I am so excited to receive it! It's a little late for me to use it for the 12 Days of Christmas... but for our Family Christmas party I am going to let all the kids pick a number and then they can each see what they get under their number. I plan on this being a family tradition!